Many times while transporting Daisy to events, members hear comments about how big she is or how they can’t believe a cow is traveling down the road. Daisy typically draws a lot of attention and makes a big impression everywhere she visits. Members say she helps start consumer conversations about dairy farming. In the summer of 2018, Daisy visited 18 fairs, festivals, parades, farmers markets and farm tours all over Michigan. Some were quick day trips and some overnight stays but regardless of how long Daisy visited, she could easily be spotted standing over 11 feet tall on her trailer. 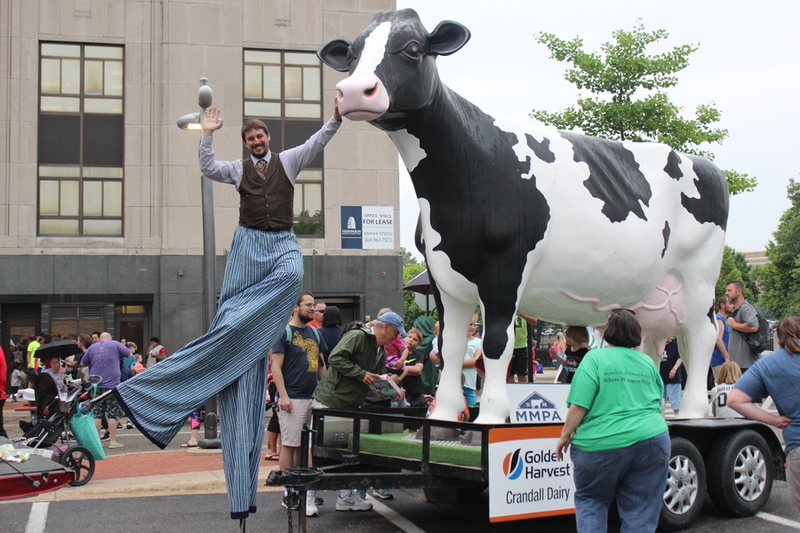 MMPA members were challenged to use the large fiberglass cow in their summer dairy promotion efforts and to share their experiences. We tracked her movements from event to event all over Michigan totaling almost 2,500 miles in just five months. Daisy made lots of new friends and was welcomed back by old pals in 2018 and is already looking forward to next year. Members interested in reserving Daisy for 2019 should call 248-474-6672, ext. 202. “Daisy was a unique addition to our July fourth parade in Hadley, Michigan. 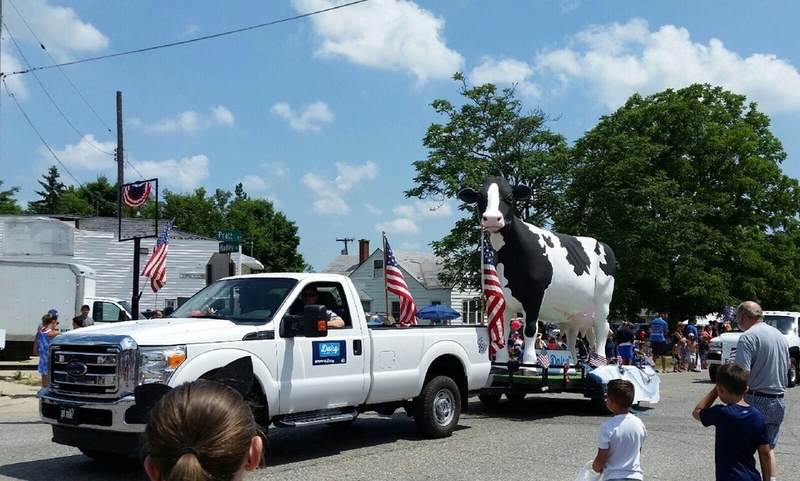 Township officials commented on how nice it was to see an ag related, particularly dairy, float. As Daisy traveled the parade route through town, people were excited to see her. Kids pointed and waved saying, ‘look at the cow!’ and ‘that's where milk comes from!’ During the parade we stopped to allow people to come up and take pictures with Daisy,” said Susan Stewart of Hadley, Michigan. 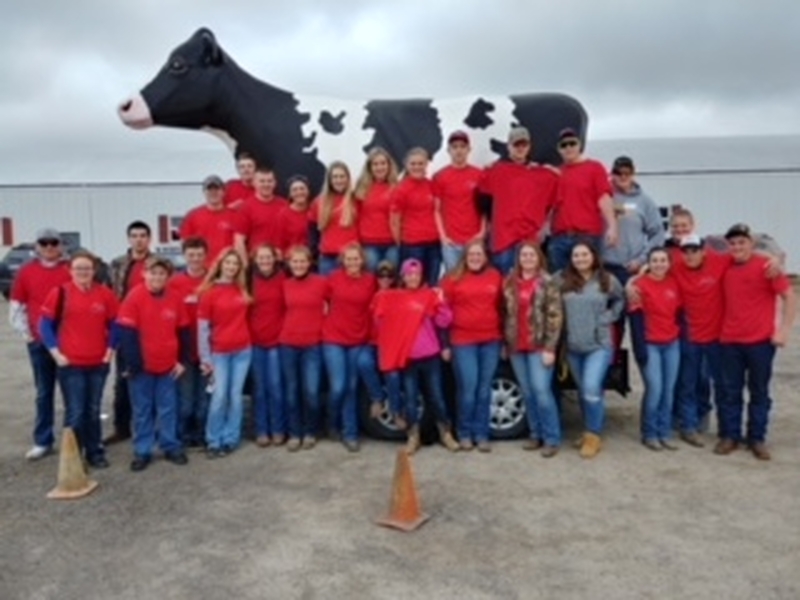 “Washtenaw County Farm Bureau Rural Education Days was another success! It would not have happened without the over 300 volunteers that help us before, during and after this educational experience for the county. More than 2,000 third graders, chaperones and teachers from 21 different school attended this three-day event. Daisy has joined us for at least 14 years and is always a hit with the groups,” said Lyn Horning from Manchester, Michigan.